Theranos founder Elizabeth Holmes will pay the SEC $500,000 to settle charges that she and the company fraudulently raised over $700 million. Holmes will also give up majority voting control over the company, and some of her equity in it. She will also be banned from directing a public company for the next 10 years. Former Theranos President Sunny Balwani, who resigned from the company in 2016, also faces charges, which the SEC plans to litigate at a later date. None of the company’s star-studded board have been implicated. Aside from the numerous alleged lies told to investors during presentations, media interviews, and product demos, Holmes and Balwani erroneously claimed that the company’s products were used by the DoD on the battlefield in Afghanistan and on medevac helicopters, and that the company would generate more than $100 million in revenue in 2014 – far above the $100,000 it actually pulled in. A separate criminal investigation is still underway. My two cents: Investors should have done their due diligence instead of getting giddy from founder buzz. The Theranos hype machine, which the media dutifully fed on, made the company sound Silicon Valley hip instead of like a tiny-volume, would-be competitor to the fully-scaled big, national labs. 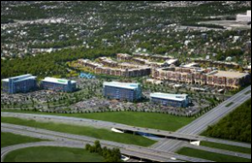 Mediware Information Systems will build a new 66,000 square-foot global headquarters in Overland Park, KS that it expects to open in mid-2019. The company acquired Medicare billing company MedTranDirect in January. NantHealth reports a 2017 net loss of $175 million, with revenue up 8 percent year over year to $87 million. Q4’s $22 million revenue fell a bit short of analyst expectations. No mention was made of its August layoffs or sale of its provider and patient engagement assets to Allscripts, aside from labeling them as discontinued operations. Sir Andrew Witty (GlaxoSmithKline) will join Optum as CEO, replacing Larry Renfro, who will become a managing partner of Optum Ventures and its new $100 million fund for technology, data analytics, and healthcare companies. Witty was knighted in 2012 for his services to the British economy. Divurgent brings on Jeff Sassenscheid to handle the expansion of its ERP, HRIS, and HCM service lines. I missed this in the pre-HIMSS media frenzy: El Camino Hospital (CA) promotes Deborah Muro to CIO. Northwell Health (NY) will implement GMed’s enterprise endoscopy solution at 20 hospitals and ASCs. GMed was acquired by Modernizing Medicine in 2015. 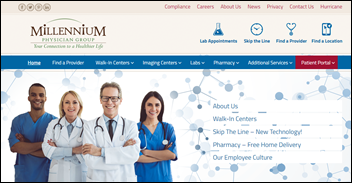 Millennium Physician Group (FL) selects population health management technology from Lightbeam Health Solutions. In Illinois, Community Partnership of the Ozarks prepares to launch a Mediware-based software project that will help to eventually connect 16 healthcare and social services organizations across the region. WebPT and Modernizing Medicine develop an interface between their respective EHRs to enable better data sharing between physical therapists and orthopedists. Salesforce adds care gaps and assessments functionality to its Health Cloud CRM. Medicomp Systems adds care management capabilities for opioid addiction treatment to its line of Quippe clinical solutions. A VA study of 100 heart failure patients finds continuously streaming data from stick-on chest sensors to an analytics-based smartphone app is just as effective at preventing readmissions as a more expensive implantable device. 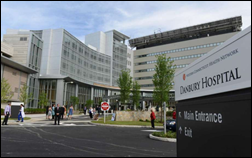 Patients at Danbury Hospital (CT) express frustration with scheduling and procedure delays resulting from a system-wide Cerner implementation earlier this month at Western Connecticut Health Network. 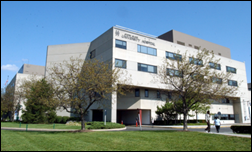 Announced in 2015, the roll out included Cerner’s Millenium EHR, HealtheIntent population health management software, and a Soarian upgrade. @Farzad_MD tweets out the results of an “aromatherapy” study that found alcohol prep pads were more effective at quelling nausea in ED patients than customary anti-nausea medication. 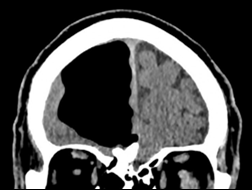 Weird News Andy wonders about the ICD-10 code for “airhead” after surgeons discover a giant air pocket where part of an 84 year-old patient’s brain should have been. The man sought care after suffering a mild stroke, but had otherwise lived a normal life. PerfectServe creates an Apple Watch app to give end users easier access to its messaging technology. Learn on Demand Systems hires Laura Faughtenberry (Dude Solutions) as director of marketing. The Athena Breast Health Network (CA) selects LifeImage-powered Mammosphere to provide network management of medical images and associated clinical information to conduct the WISDOM breast cancer screening study. LiveProcess will exhibit at the ANA Quality and Innovation Conference March 21-23 in Orlando. Loyale Healthcare rolls out its Patient Financial Manager solution to select Parallon clients including 170 HCA hospitals and EPs. The LiveHelpNow Challenge includes Vyne in its list of top companies providing exception customer service. Meditech will exhibit at the 2018 Home Care Optimization Symposium March 20-22 in Atlanta. National Decision Support Co. will exhibit at the National Comprehensive Cancer Network Annual Conference March 22-24 in Orlando. Netsmart will exhibit at the National Association of Psychiatric Health Systems March 19 in Washington, DC. Clinical Computer Systems, developer of the Obix Perinatal Data System, achieves HITRUST CSF Certification. EClinicalWorks publishes a new case study highlighting Rainbow Pediatric Center’s use of telemedicine to improve ADHD patient compliance. Black Book Research ranks Optimum Healthcare IT number one for enterprise EHR implementation and IT advisory and customer satisfaction. Wait… I thought that any voids in the brain automatically filled up with cerebro-spinal fluid? Wouldn’t an air void cause cell death in the brain? Reading the article does not help much. I’d expect continual leakage of CSF through the patient’s sinuses rather than air entry into the brain.